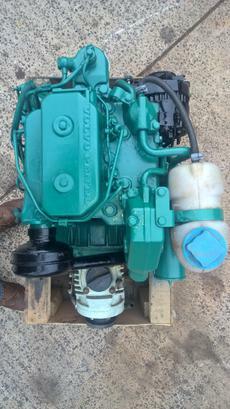 Volvo Penta 2002 18hp Twin Cylinder Heat Exchanger Cooled Marine Diesel Engine Complete With Gearbox, Control Panel, Wiring Loom & Mounts. 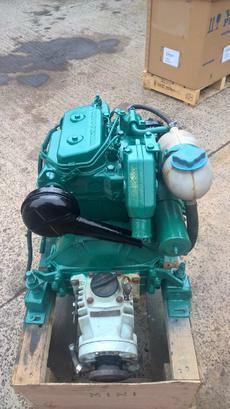 Taken as a PX engine from a client who purchased it, had the fuel pumps, injectors and various other items overhauled then found it would not fit into his boat. We have bench run it and found it to start and run well from cold without any apparent defects. 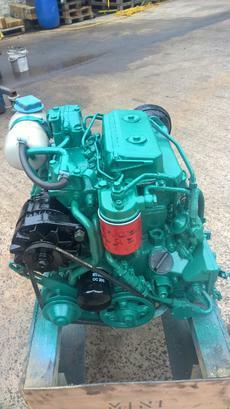 Our workshops have serviced and repainted the engine which is now ready for a new owner.